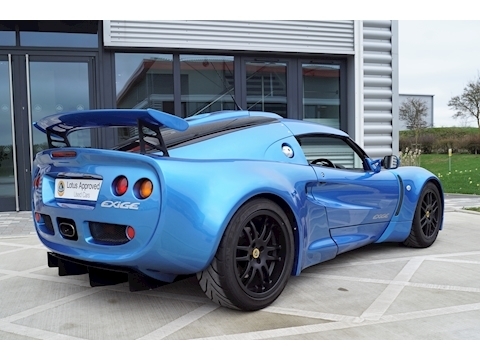 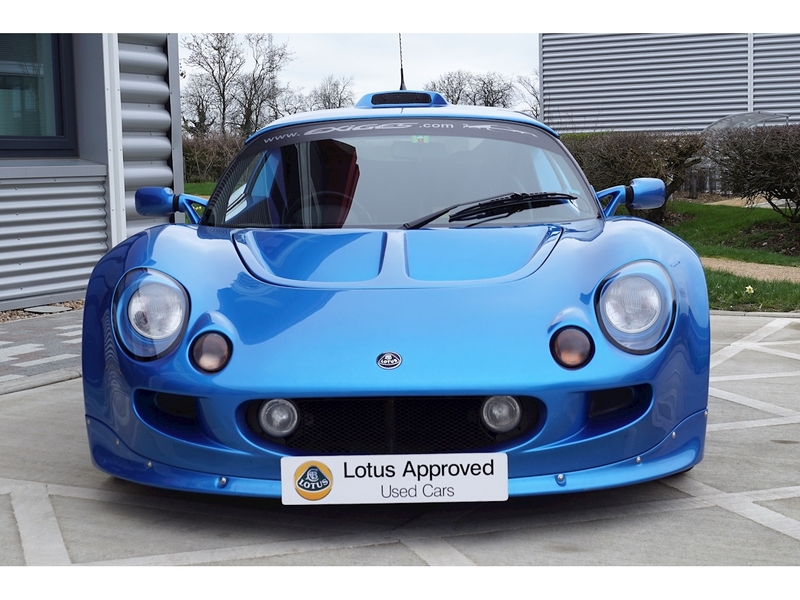 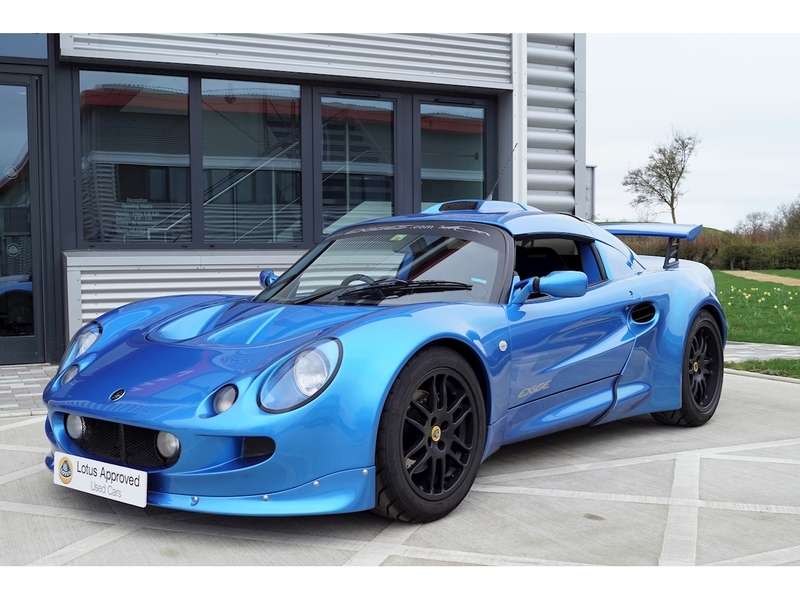 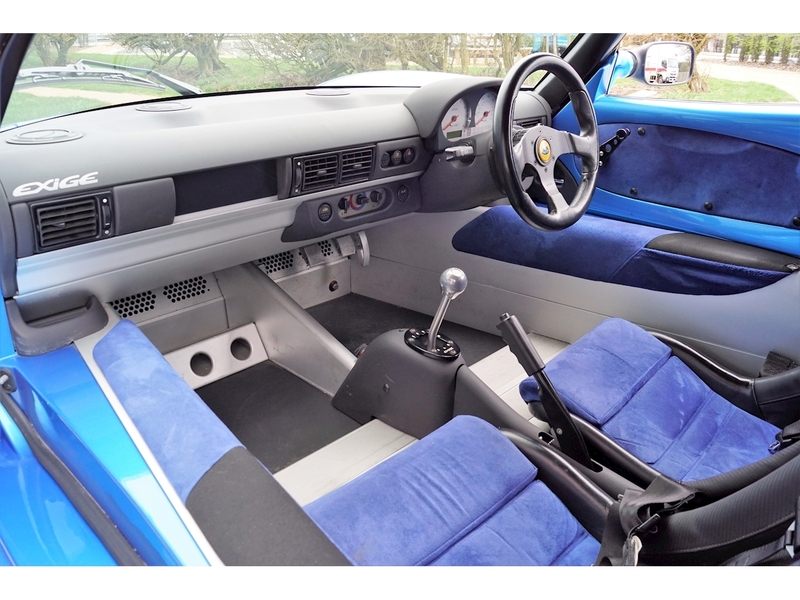 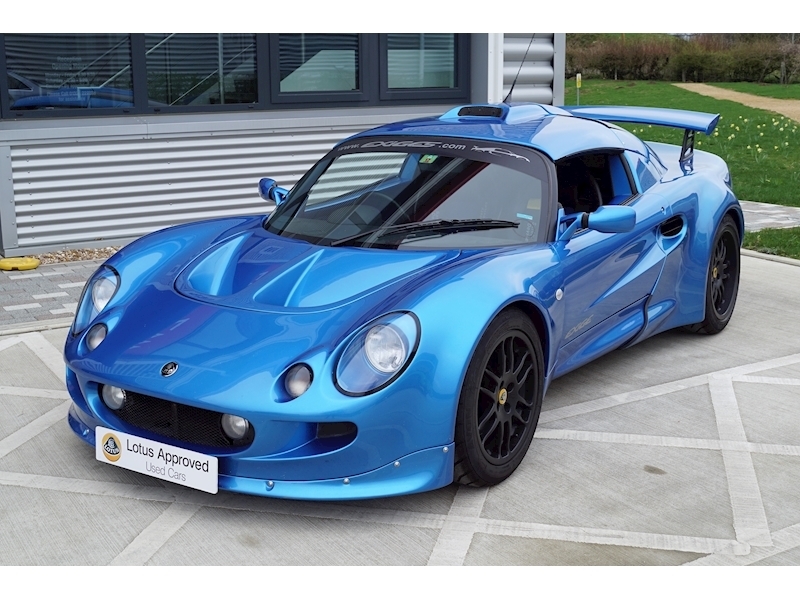 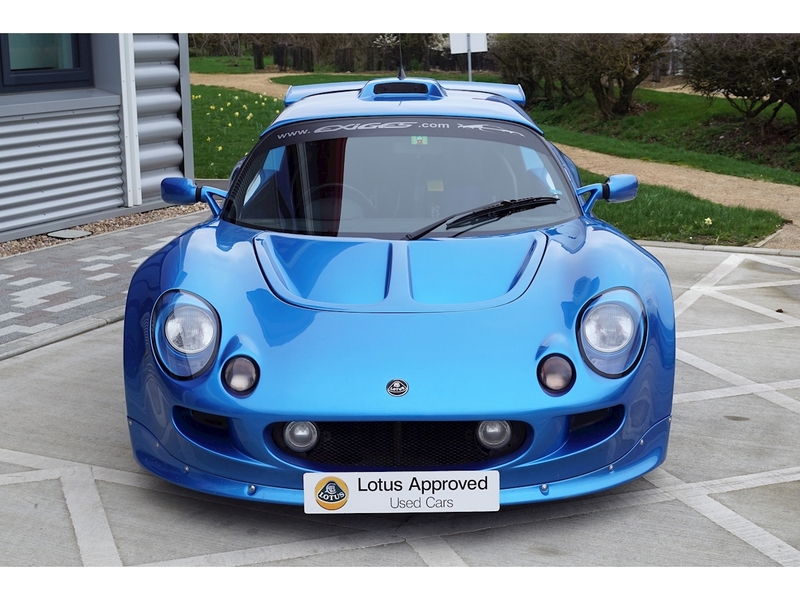 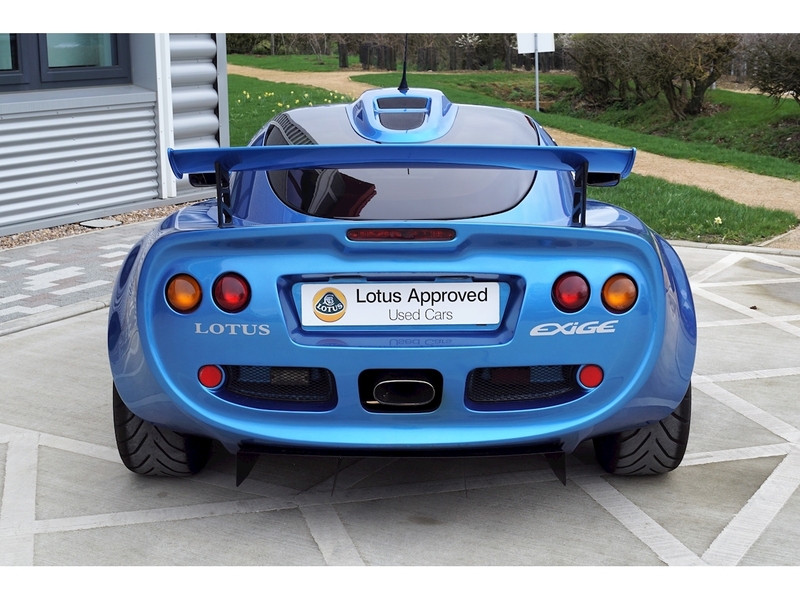 Lotus Exige S1 finished in Laser Blue, Alcantara Trim Upgrade; Blue Alcantara sports seats, sill and door trims. 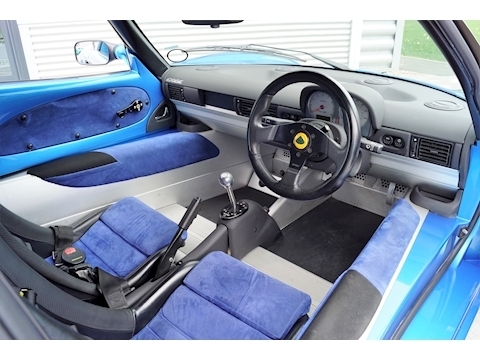 Removable black Leather steering wheel. 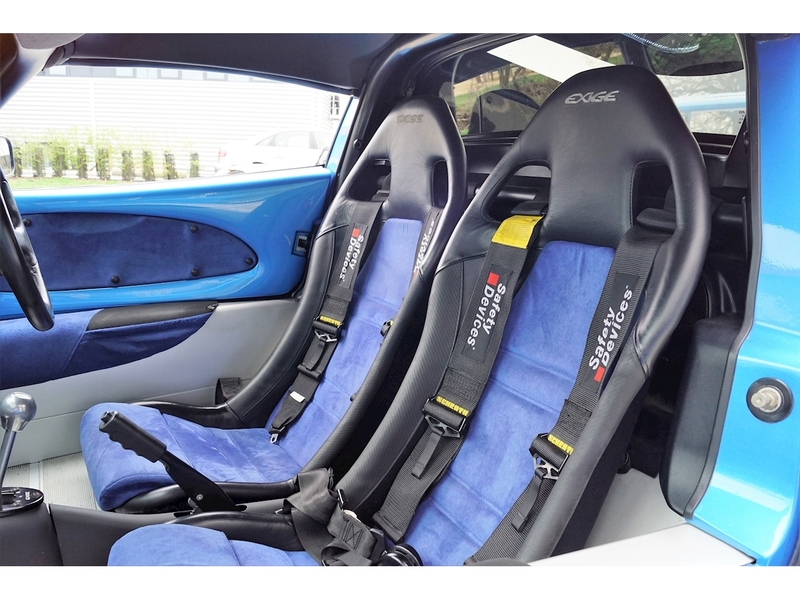 Schroth 4 point harnesses, driver and passenger. Adjustable Nitron Suspension with Eibach Springs, Wishbones re-powder coated, Elise Parts upgraded radiator, New header tank, Pressure Relief Thermostat, Lotus Power rear diffuser. 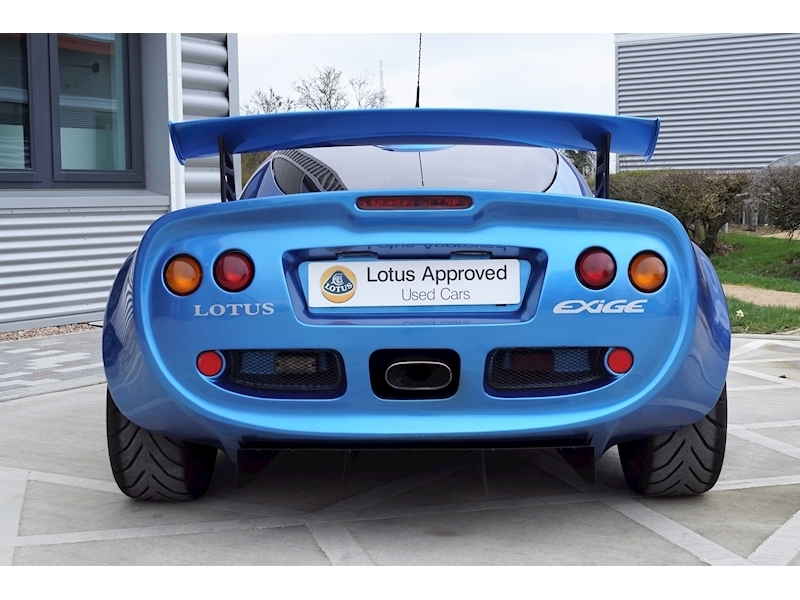 Electronic stack instruments unit with analogue display, META immobiliser.